The folks at Netflix know I'm a movie junkie. They gave me these cards to pass out to folks that I know who might be interested in a free month of the Netflix service so they can try it out for themselves. The problem is that I'm usually so busy with one thing or another that I haven't had a chance to hand them over to anyone in the week or so that I've had them. As a result, I thought I'd post the relevant information here. Anyone who is interested can collect a free month with Netflix. If you're interested, here. Enter the priority code of M84954834575 to collect your free month and to learn more about Netflix. This offer expires on October 31, 2007. 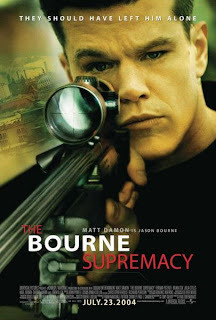 Now, if you'll excuse me, I have Matt Damon in The Bourne Supremacy waiting for me.